WELCOME TO ISLANDS PHILIPPINES & MABUHAY! “Xtreme Evolution knows travel, and will help train you on how to build a travel business; it’s what makes us different. We will give you staff to assist you wherever you are and whatever you need. NO EXPERIENCE IS NECESSARY. You can be a part of us if you just have a good attitude, and a love of travel, service to others and a desire to be successful. If you have those, then you’re on your way. So what are you waiting for? Be our NEW PARTNER and start being the Best Travel Specialist that you can be! - FREE Webpage with your contact details to IslandsPhilippines.com (no need to pay or learn to create a website). 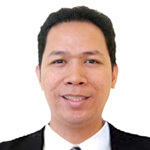 Profession: IslandsPhilippines.com web administrator, e-marketing specialist, coach and mentor. Why I do travel business? There are many lessons from travel., I'm building a monthly vacation budget for my family. 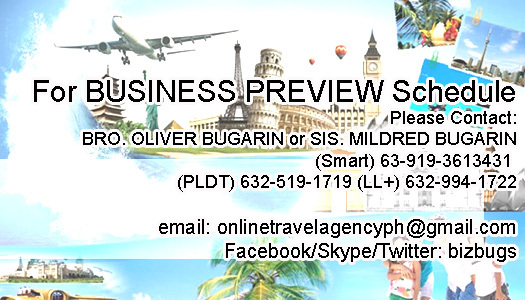 Batangas Travel & Leisure partners love to hear from you! Travel & Leisure AGENCY is an Xtreme Evolution System of XETRI EVOLUTION TRAVEL AND TOUR offers first in the world that offers great opportunity for all enterpreneurs.